Super super cute! I really like the curly hair tutorials and would like to try these looks out some day. :) Thanks again for sharing the scans. I agree, Popteen should change things up a bit. O: I'd love to see the other models on the cover. Thanks for the scans, Eki! Btw, I'm catching up on reading and just read about your drama with that seller. So sorry to hear this. =( Hope it resolves soon!! I know you probably hear it a gazillion times but THANK YOU for these scans! It must take you forever to upload -- plus Japanese magazines are so expensive and hard to find in the first place! wow the nails, im going to have to search ebay for copies of magazines like this! I love the Leapord Jacket with ears and tail! I've always wanted to make something like that! Thanks for posting the scans. EKI! You're amazing for posting these up! This is the closest I get to a Japanese magazine since I live in a small town! :) Love you for it! Thanks once again! Eki, thank you for the scans. Love them! Btw I just ordered a necklace from your shop ^_^ can't wait till it arrives! Do you e-mail us when you ship them out? These are my favourite kind of posts by you!! Thanks so much. Love the bright lips looks, I really need to bust out my red lips more. 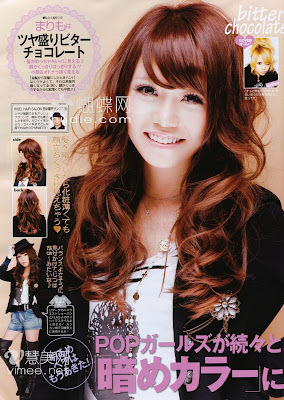 Also, that wavy hair is so fabulous - do know of any good tutorials on how to get your hair like that? Wow! 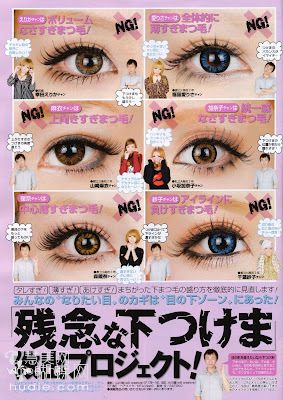 Thanks again for sharing the scans...love the lashes on the girls. Incredible content in this blogger and might I add- a very gorgeous person too!